Feeling like making a great first impression on your guests? 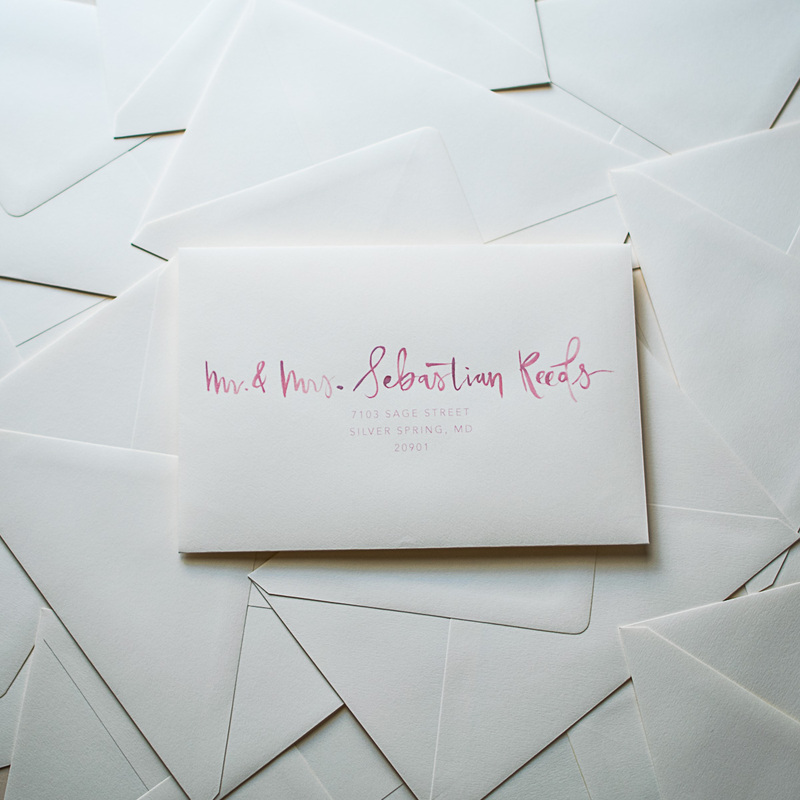 Everyone loves a little happy mail and nothing beats that feeling of opening up your mailbox to a beautifully addressed invitation with your name on it. 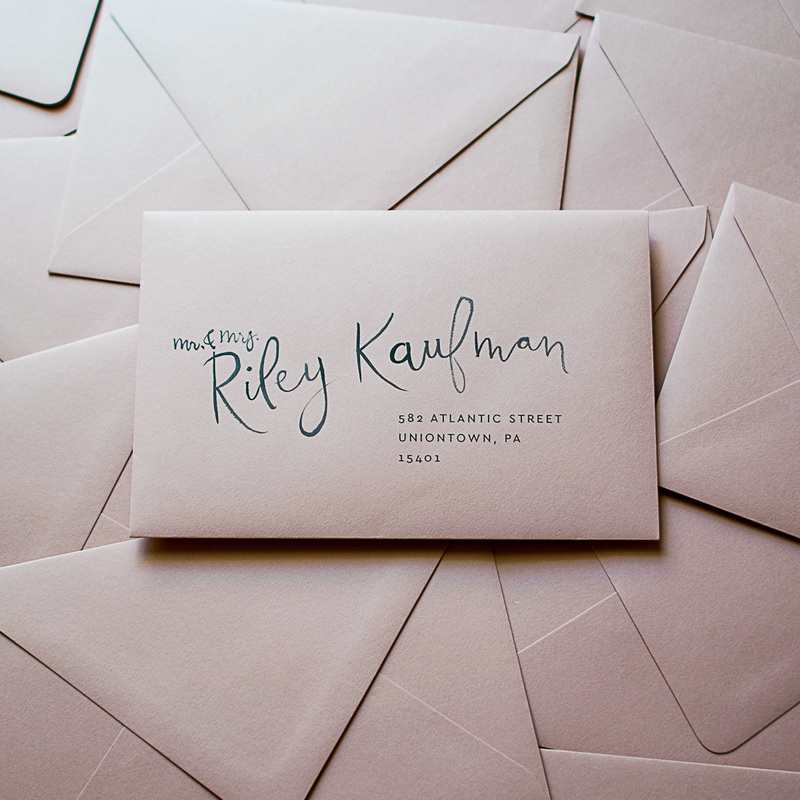 Rose Gold Studio can letter your guests’ names and return address on your provided envelopes. 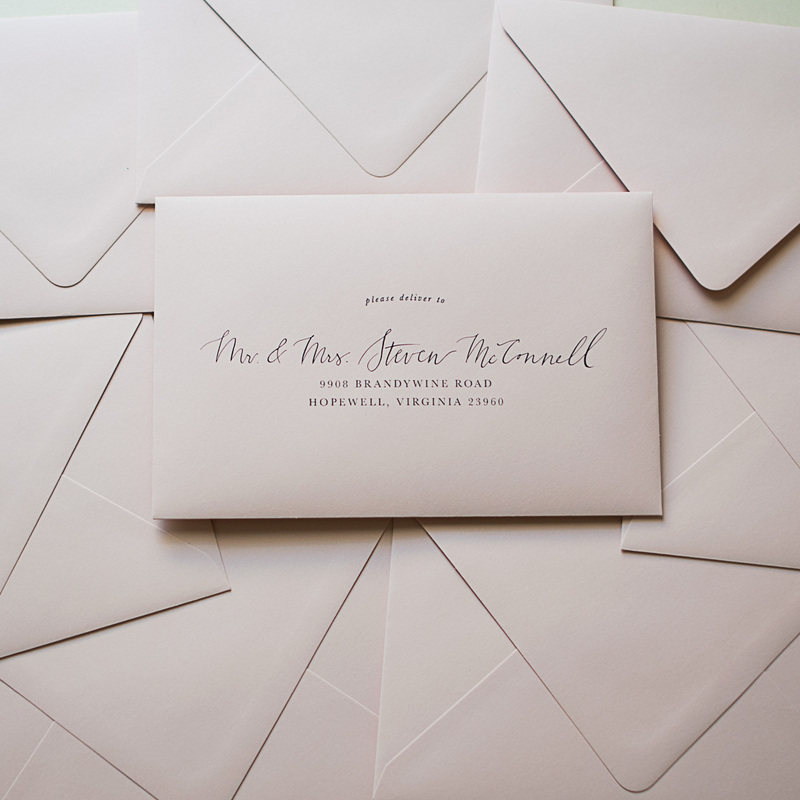 We can also source the envelopes for you in a variety of colors and sizes. 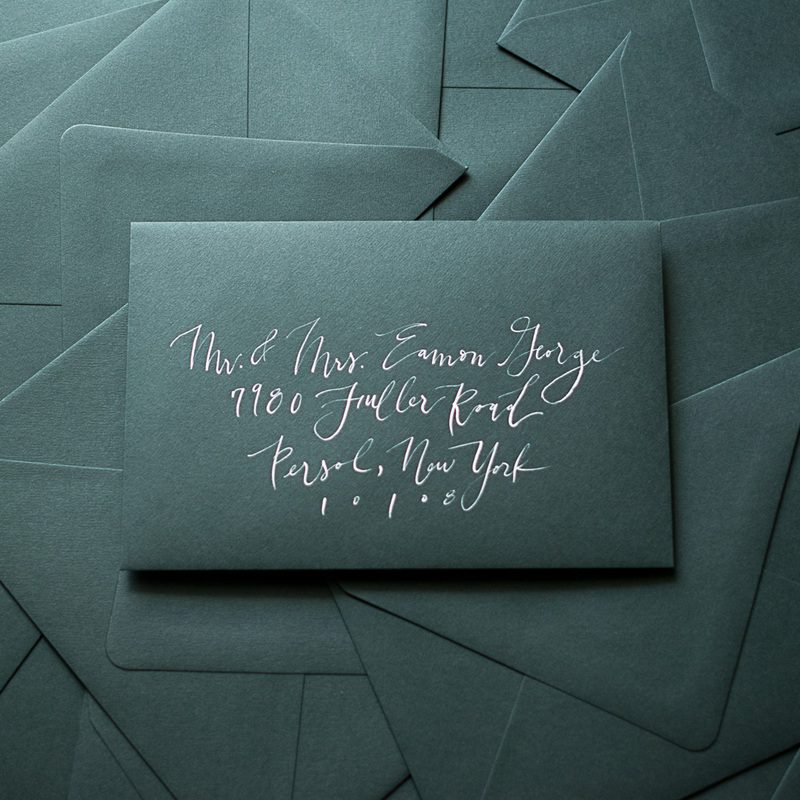 Please see our calligraphy styles here & scroll down to read about some details and how our process works. When you’re ready to move forward, please fill out the form at the bottom of this webpage! 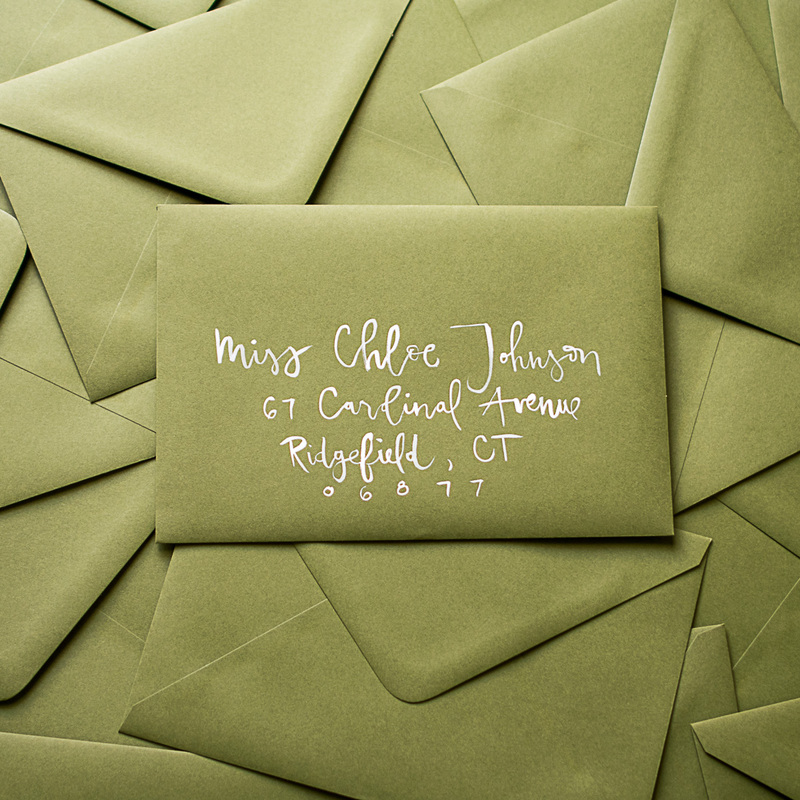 Metallic inks require a $.25 per envelope upcharge. 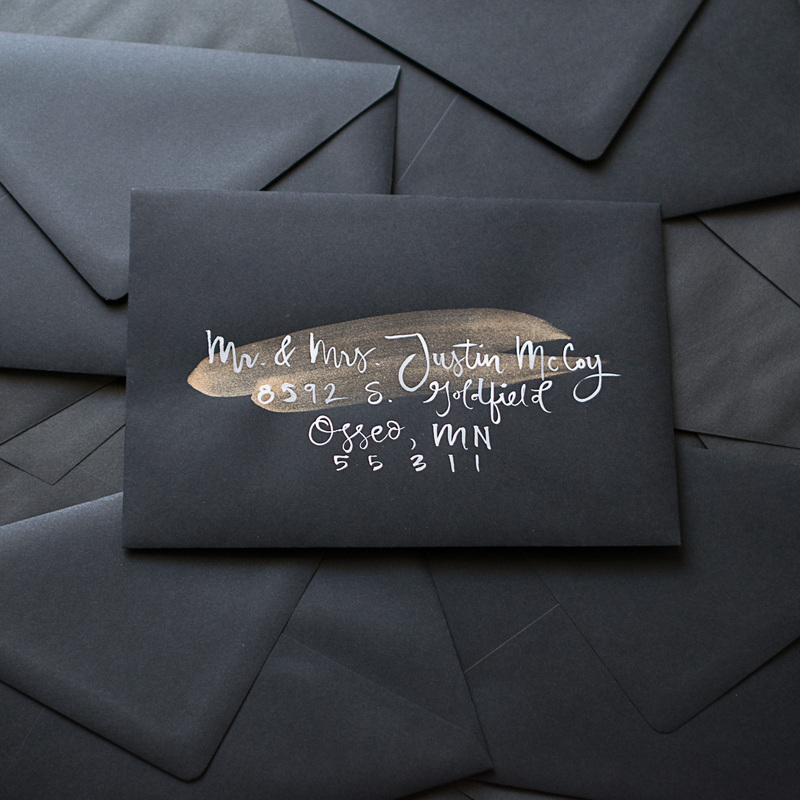 Dark colored envelopes require a $.25 per envelope upcharge. 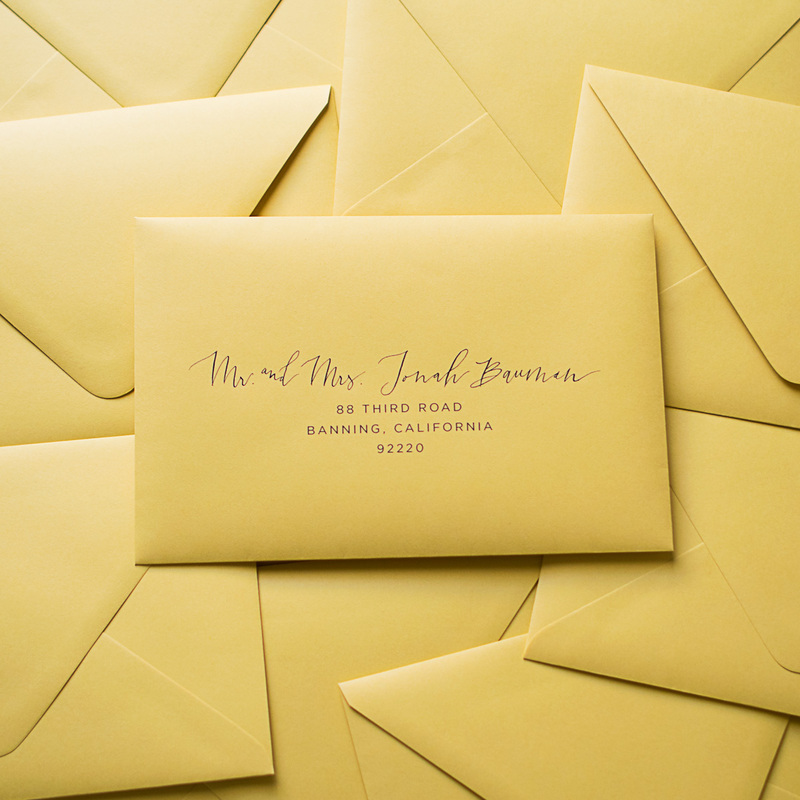 If you are providing envelopes, please plan to provide at least 20% extra envelopes for extras needed during the lettering process. A spreadsheet will be provided for you to properly format your guest list. Standard turnaround is 3 weeks from the time that we receive both your envelopes and final guest list. Any delays in receipt of materials will result in delays to your return date as well. 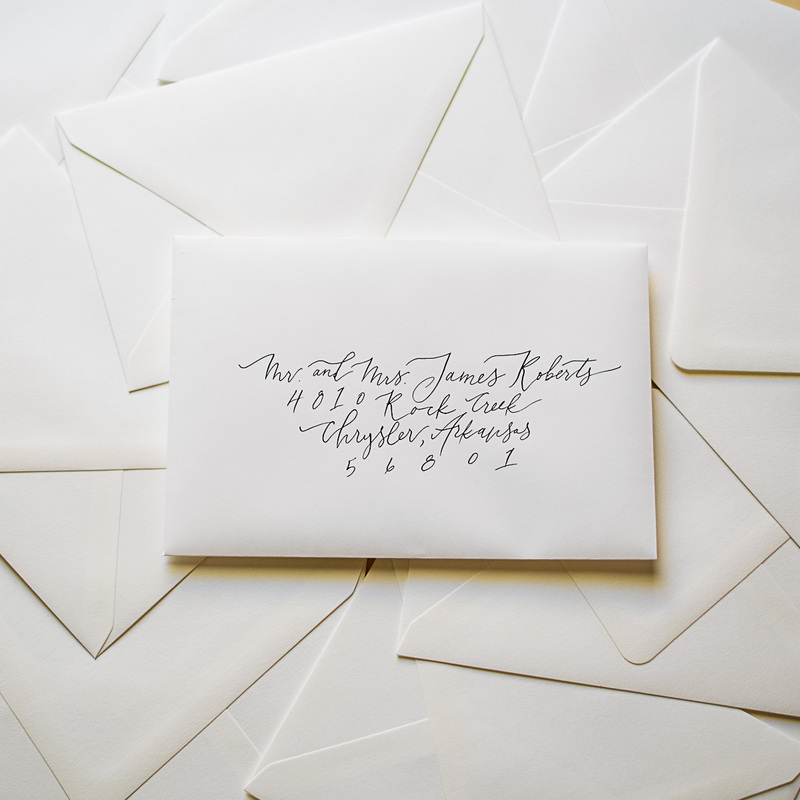 A sample will be emailed for you to approve before the complete set of envelopes will be calligraphed.